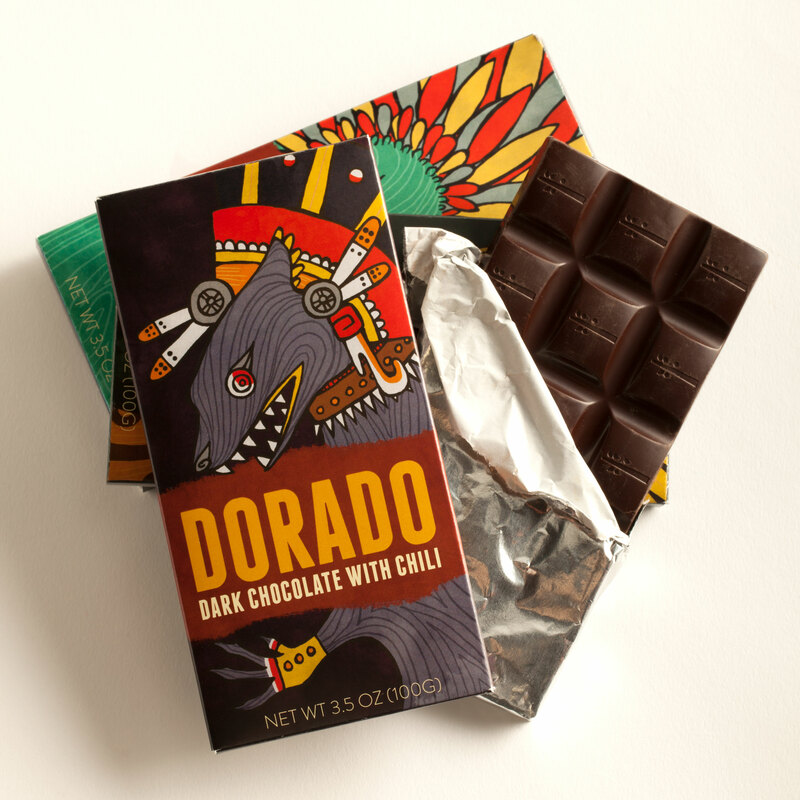 Dorado is a fictional brand of dark chocolate, inspired by the ceremonial and monetary value of cacao to the Aztecs. 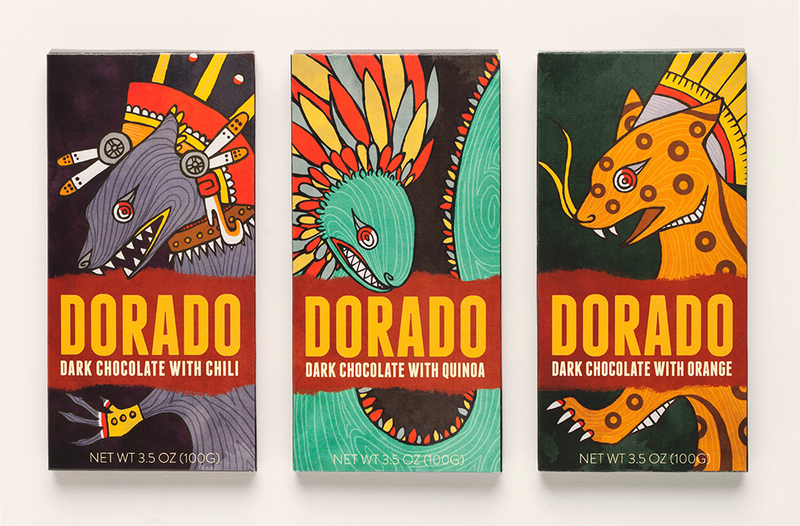 Each flavor is identified by a specific Aztec deity, and the illustrations take cues from ancient Aztec depictions of the gods. 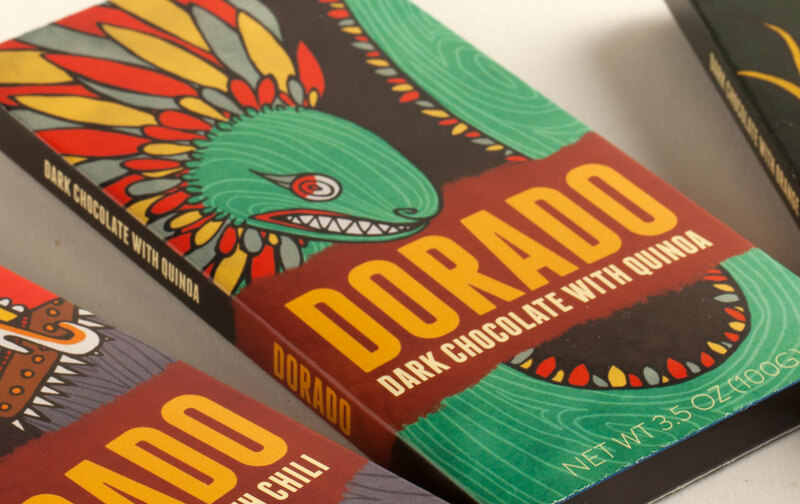 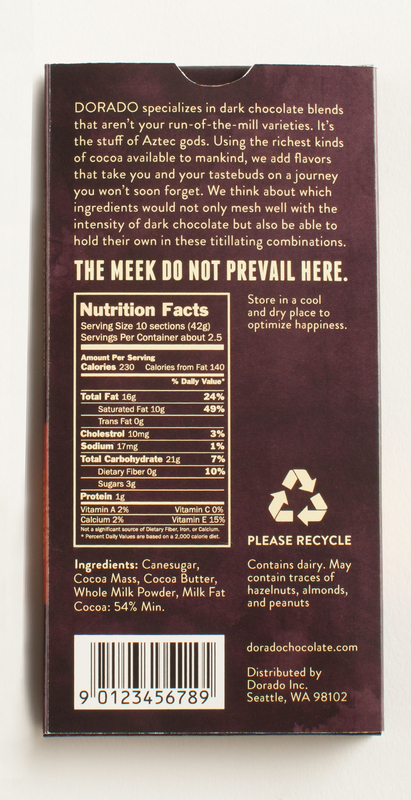 I chose a bold and bright color palette to be eye-catching and complement the richness of the dark chocolate.